Green Carpet Party Lawn, Indirapuram, Delhi is an ideal venue to host your pre-wedding, wedding and reception ceremony. It is located at a close proximity from Indirapuram Police Station which makes it easily accessible for all to reach. The venue serves flavoursome delicacies to choose from in both vegetarian and non-vegetarian food. It has multiple party areas which makes it easy to have different functions at the same venue. It has lush green lawns which can accommodate a huge crowd for your function. It also has a banquet hall which is great for small functions like birthdays, anniversaries and family get-togethers. 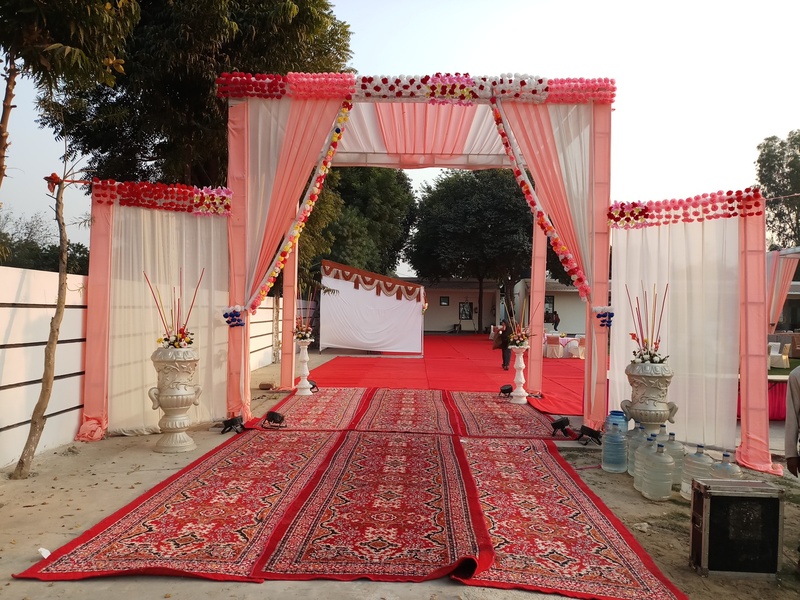 Book Green Carpet Party Lawn, Indirapuram, Delhi for your forthcoming events to make them outstanding. The Green Carpet Party Lawn located in Indirapuram, Delhi has Banquet Halls and Wedding Lawns. Lawn 2 can accommodate upto 325 guests in seating and 500 guests in floating. 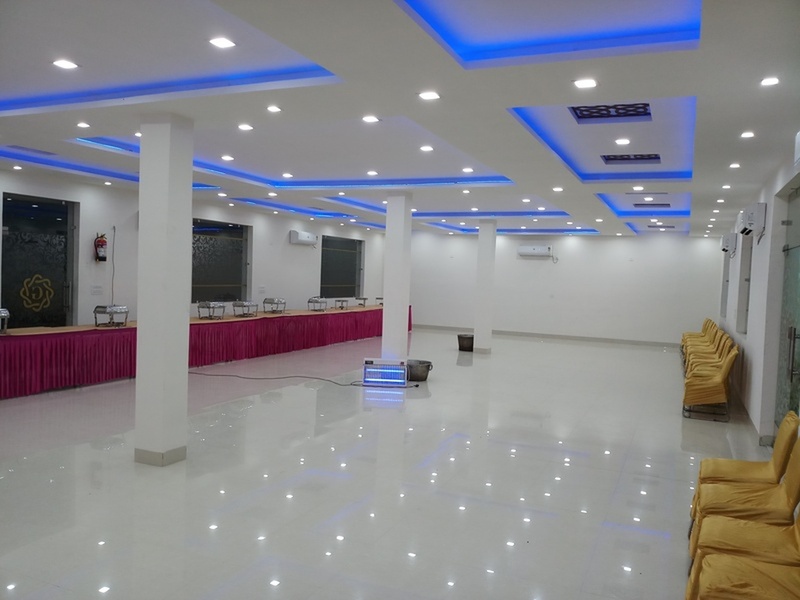 Hall can accommodate upto 60 guests in seating and 100 guests in floating. Lawn 1 can accommodate upto 50 guests in seating and 100 guests in floating. Vegetarian and Non Vegetarian food is served at this venue. Features of this wedding venues are : Food provided by the venue , Outside food/caterer allowed at the venue , Non-Veg allowed at the venue , Alcohol allowed at the venue , Outside alcohol allowed at the venue , Halls are air Conditioned , Baarat allowed , Hawan allowed , Overnight wedding allowed , Decor provided by the venue , Packages starts at Rs 800 per plate for vegetarian menu and at Rs 1000 for non veg menu. Decoration starts at Rs 25000.